As reported by Dubai Headlines today at 1.30pm a huge fire broke out at Khalid Port in Sharjah Al Khan Area while a gutted Oil rig of a Korean Company caught fire. One Filipino worker was injured and rushed into the hospital. The entire Al Khan Area including Hotels where under a big smoky cloud until late afternoon. The fire was extinguished and cooled down according to Waheed Al Serkal, Director of Sharjah Civil Defense. Khalid Port is harboring Diesel and other inflammable materials. Companies, boats and ships docked at the port are out of danger. 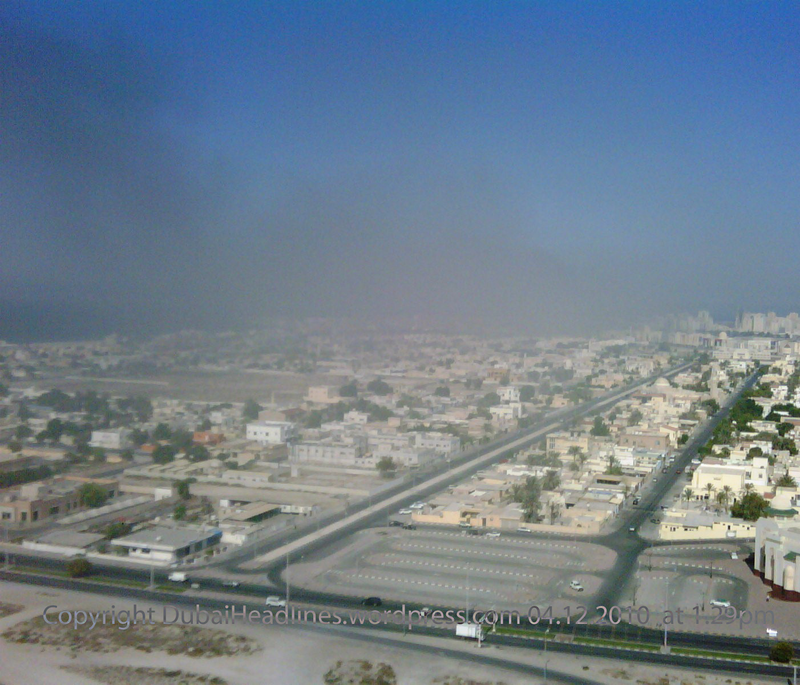 Eyewitnesses reported a fire in Sharjah which extended big smoke clouds to Al Khan coming from the extended costal area. The last fire reported was caused by a Cargo Ship in Sharjah Habour in November 2010. The coast guard fully extinguished the 5×20 meter ship. Since August 2010 all residential houses and buildings in Sharjah where provided with new fire distinguisher to ensure safety of residences.